As a volunteer, you are able to have camping for free however strangely, they do not have showers or water available on site. After driving to the nearest convenience shop to purchase some water, we tented up and settled in for a 6am start. We walked the short distance to sign in for our shift and then spent the next hour waiting for things to get started - I wish I would have known or I would have spent an extra hour in bed! After the hours wait, we were split into groups and distributed to the different section leaders, who then sent us out to the obstacles. It was a great way to split up the volunteers, especially as there were so many! I was assigned to the final 8ft walls, in the centre of the mudder festival with a view of the start line, finish line and a few other obstacles. Surprisingly, there were 6 of us who were assigned to the 2 walls so there was plenty of help available. The whole volunteering culture was very relaxed and we were easily able to wander off to other areas if we needed a drink or the toilet etc. Unfortunately, I did not enjoy the competitive nature of the elite waves as I felt uncomfortable with individuals not being able to accept help from their other competitors. We saw some individuals who were on their last legs and were physically unable to conquer the walls - they were then forced to do 30 burpees. I much prefer the teamwork culture of Tough Mudder as even in the highly competitive waves, help is given to those in need. Overall, my volunteering experience was very positive however I feel as though we were not given enough food - only one sandwich and chocolate bar to last a 14 hour shift. 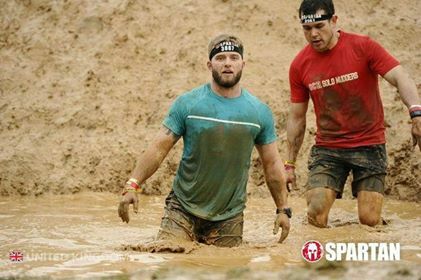 I would probably volunteer again if I was free however I would also like the opportunity to run another Spartan course. Overall, the course was very hilly, hard and muddy - no surprise! I was expecting a lot of individual tasks that would be labelled as obstacles and that is exactly what was given. Although a very rough course map was published a few days before, I didn't know what to expect with the obstacles or Spartan in general. I was very surprised at the little amount of information available - you were expected to know what to do without being told where to be and at what time etc. 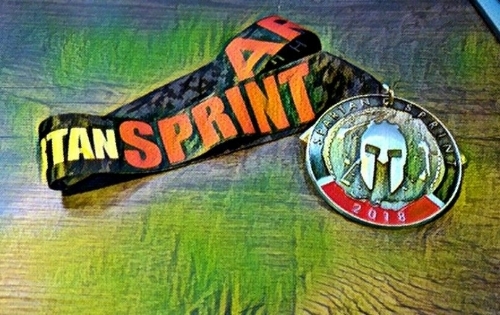 At the start of my wave, I was sent to the 'warm up' area, which had a half-naked man in a Spartan outfit shouting 'inspiration and motivation.' I found it very strange that they felt the need to compare themselves against Tough Mudder as it was mentioned at multiple stages throughout the day by the staff themselves. The warmup itself was not a warmup and I found myself having to stretch shortly after being released as I was expecting a warm up. We were given a timing chip, which was a nice difference to Tough Mudder and I am very proud to say that I did not fail a single obstacle, with the exception of the Atlas Stones, simply because I could not bend low enough with my prosthetic to get a decent grip on the stone. I was surprised to see that there was no signage at each obstacle, which made it very difficult to talk to others about after the race. Most of the obstacles were upper body and I would personally not call them obstacles however personal challenges. I really enjoyed the rope climb, which I managed to do without use of my legs (it's very difficult to wrap a running blade round a rope) and was very happy when the crowd gave me a massive cheer afterwards. After going through the finish line, I was rewarded with one of their medals, which I have to say are awesome. Unfortunately, there was no beer left so I did not get a finishers beer however I don't drink and would have preferred a protein shake anyway. Overall, I really enjoyed the obstacles and the medal. I can see myself doing another run however not necessarily in the next few months. I have completed a Spartan race and it would be great for anyone looking for an individual challenge without any team-working skills.